How to analyze data on Hadoop using Pig and Hive? How to interact with YARN (Yet Another Resource Negotiator) and HDFS (Hadoop Distributed File System)? Since deployed on commodity hardware, server failures are common so is failure of the nodes. Multiple nodes provide computing resources and continuation in operation even on some failures. HDFS breaks the information (data volume) down into separate pieces and distributes them to different nodes in a cluster, allowing for parallel processing. The file system also copies each piece of data multiple times and distributes the copies to individual nodes, placing at least one copy on different server. As a result, the data on nodes that crash can be found elsewhere within a cluster, which allows processing to continue while the failure is resolved. HBase – A scalable, distribution database (similar to Bigtable) that supports structured data storage for large tables. Chukwa – A data collection system for managing large distributed systems. ZooKeeper – A high performance co-ordination service for distributed applications. Understanding how information is stored and processed in servers is important. Hadoop does most of things for us. HDFS is Hadoop’s file system – Hadoop Distributed File System while MapReduce is its processing engine and there are many libraries and programming tools to support Hadoop in Big Data. Set up a Hadoop development environment, run and optimize MapReduce jobs; and then do the basics with Hive and Pig (query languages) followed by some job schedules with a workflow. Each file is replicated 3 times in the Hadoop ecosystem on three different pieces of commodity hardware. HDFS files are by default 64 MB or 128 MB chunks and even can be configured for higher size chunks. These chunks are fed into the MapReduce framework. Hadoop is criticized by some who don’t want to work at this level of abstraction being limited to Java. People might want to work at a level that is more accessible by more people in your organization. HBase is a library that provides a solution to working with the Hadoop system. This is like a wide column store – one ID column and the other data column — since there is no requirement for any particular values in the data column it’s called wide column. Schema on read: we need to impose some sort of schema in order to query or get the information out but not when we put the information in. HDFS (Hadoop Distributed File System) – triple replicated by default. As an alternative to HDFS, Hadoop also supports Regular File System – Standalone mode. This should be a great start for the initial learning phase about MapReduce in Big Data to reduce the complexity itself by usinga regular file. 1) Single Node mode: Deploying Hadoop in a Single node means using the local file system and a single JVM (Java Virtual machine) for all the Hadoop processes. 2) Pseudo-distributed mode: HDFS is used and Java daemons run all the processes on a single machine. 3) Fully-distributed mode: HDFS is used and everything is triple replicated, daemons run on various locations according to need. Commercial version of Hadoop implementation may see different components or modules. Recommended reqd: At least 8 GB RAM (16 GB preferred) and a SSD of 128 GB. 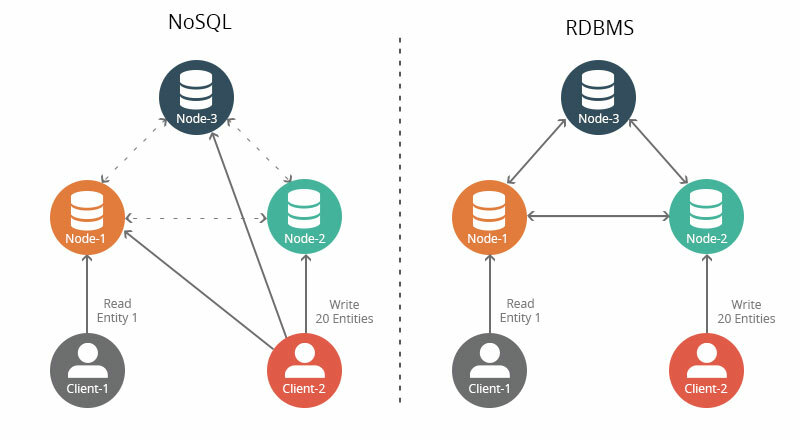 Decision based on: How many Data nodes?